After successful completion of an inpatient or outpatient drug treatment program, a recovering substance abuser will need an effective aftercare strategy to maintain sobriety. Residence in a sober living home can be one of the securest steps to take. It is a particularly good option for those individuals who do not have a safe living environment and family support. Sober living homes vary considerably, with some offering a fuller suite of services than others. However, it is important to note that sober living homes do not provide psychotherapy, dispense medication, or have on-site medical personnel like an inpatient program does. As sober living policies and amenities vary considerably from home to home, some are invariably healthier living environments than others. As discussed in The Fix, a negative impression of sober living homes prompted actor Matthew Perry to found his own recovery residence, known as the Perry House. According to Perry, he had heard about degrading practices at some sober living facilities which, for instance, had residents wear signs around their necks or sit on crates. When the actor opened Perry House, he was uniquely situated to wear both the hat of a recovering substance abuser and owner/operator. For this reason, the Perry House was expected to be a helpful guide to other sober living homes. However, there is no one-size-fits-all approach to running a sober house, and even the best intentioned policies and practices may come under fire. According to bestselling rehab writer Anne Fletcher, the Perry House is an example of a sober living facility that excels on many fronts, but it is sometimes criticized in that it discriminates against recovering substance abusers who participate in medication-assisted treatment (MAT). Like some other sober living homes, the Perry House reportedly enforces a 100 percent drug-free policy. This means that all drug testing of residents must result in a completely “clean” report. The Perry House does not reportedly make an exception for rehab medications such as methadone and Suboxone, which are used to treat recovering opioid abusers. For Fletcher, the practice of denying MAT participants access to sober living homes not only impinges on their chances of recovery but also sends the wrong message. According to Fletcher, the goal of sober living homes should be recovery and not the promulgation of restrictive recovery policies. There is ample evidence supporting MAT, and Fletcher feels some sober living homes sometimes put their own biased thinking ahead of sound science. Sober living homes are not closely regulated. When it comes to a discussion of law, it is always important to understand the concept of jurisdiction, which includes governance at federal, state, county, and city levels. Although there is no federal law that expressly regulates sober living homes, certain federal laws that protect everyone – such as the Fair Housing Act and Americans with Disabilities Act – implicitly extend to a person’s rights to access to a sober living home. Similarly, although state, county, and city laws may not specifically enumerate the operations requirements of sober living homes, there may be general rules that can be invoked to protect the rights of sober living home residents (such as discrimination laws, disability laws, and contract law). Although there may not be uniform and express sober living home laws in place at present in America, the future may change the legal landscape of these facilities and require them to be state licensed. Stated most simply, under the Fair Housing Act and American with Disabilities Act, a landlord cannot discriminate against a person based on a disability. Under the acts, a person with a substance abuse disorder is usually considered to be disabled. It is important to note that sober living residents may, in a few cases, face discrimination from neighbors and the local community. Although suffering a stigma in society does not usually amount to having an actionable case in court, it can be painful. Neighbors and communities are not likely to react negatively to a sober living home that is clean, quiet, and respectful (and many are). However, according to Arcuria, a program that provides voluntary certifications to sober living home operators, some sober living homes are only “sober” in name. Due to a lack of uniform regulation and licensing, some homes are operated by profit-driven individuals who allow drugs and a host of other ills to occur on the premises. Such an environment would be a dangerous place for a person in recovery and could cause considerable trouble with neighbors and the local community. It is important for sober living home residents, their neighbors, and local governing council to understand that this model of living is not particularly prone to abuse, crime, or other problems. A study for the state of Illinois found that residents of sober living homes were considerably less likely to engage in criminal behavior than the average Illinois resident. Statistically, the study found that 18 out of every 1,000 sober home residents committed a crime compared to 112 out of every 1,000 in the general population. Yet, some local governments use zoning laws to keep sober living homes from operating in certain areas. An obvious motivation for doing so relates to property owners’ concerns about a decrease in property values when a sober live home is operating in the locale. Sober living homes operate more like a “family” than a commercial enterprise; therefore, they should not be subject to business zoning laws. Sober living homes are not required to be licensed, and by operation of certain relevant California laws, they are therefore not subject to the same zoning laws as residential facilities that require a license. Zoning laws that target “who” is living on the site versus “what” activities are being conducted may violate fair housing rights. Changes to zoning designations should never be motivated by bias or conjecture but must rely on factual evidence that supports a reasonable community and/or government need for the revision. The California example illuminates the pliability of laws. Zoning laws may be used in a discriminatory fashion in some instances. However, laws protecting citizens’ rights to operate a business, appreciate fair housing, and be free from discrimination are a formidable defense against such bias. The emergence of advocacy groups dedicated to the rights of sober living home residents and owner/operators demonstrate that for every action against sober homes, there is likely to be an opposite and equal reaction to protect the right for this form of group living. A sober living home is most often a safe, controlled, and crime-free environment, although there are a few proverbial “rotten apples.” It is critical for community members not to allow any unfounded bias against recovering substance abusers to taint their understanding of the many benefits sober living homes can have for the people in need of them. Healthy sober living homes, with good reputations, can help to spread the word about the benefits of rehab and to counteract any negative, misplaced, and stigmatized thinking about people in recovery. It is always difficult to put a positive spin on a tragedy. In the legal community, a well-known aphorism is “tough cases make bad law.” However, heartbreaking tragedies can make for good legal changes. Alba Herrera, of New Jersey, would implicitly agree with the latter proposition. In February of 2014, her son overdosed on heroin in her home after he was evicted from a sober living home for relapsing. Alba did not know her son had been evicted due to a relapse because her adult son did not tell her and the rehab center did not notify her. According to New Jersey Spotlight, a local news source, Ms. Herrera confronted the sober living facility manager the day after her son fatally overdosed. She wanted to know why she was not informed that her son had relapsed and been evicted. Under current New Jersey law, the home was not required to notify her, as Ms. Herrera’s son was an adult. However, Ms. Herrera made the point that if her son had diabetes and went into a diabetic shock, she would have been notified. A drug relapse can be just as deadly as a relapse of other chronic conditions and yet she was not advised of this fact. In response to what Ms. Herrera’s perceives as a hole in sober living next-of-kin notification policies, she is working with New Jersey legislators on two bills that would make it easier for residents of sober living facilities to be involuntarily committed for psychiatric care as needed. For instance, under the proposed law, Ms. Herrera’s son’s sober living home would have been required to contact her after his eviction and advise her of his relapse. At that point, to save her son from what would have been a threat of overdose (which is always serious risk after a relapse), Ms. Herrera may have been able to commit her son to the supervised care of a psychiatric facility, which could have stabilized him and prevented the fatal overdose. As New Jersey Spotlight reports, some sober living facilities have reacted against the proposed law, arguing that it would introduce burdensome requirements and regulations. Further, some mental health professionals have argued that the bill may be overly inclusive and erode the rights of recovering substance abusers in sober living homes. A delicate balance must be always be struck between helping relapsed individuals and overly impinging on their privacy. On the one hand, it is critical for sober living homes to be safe, and on the other hand, it is necessary that they not be regulated to a degree where they are undesirable to live in. A recovering substance abuser, fearful of involuntary commitment, may decide against residence in a sober living home with this policy, which is by no means the intent of these proposed bills. The arguments in support of and in opposition to the proposed laws demonstrate the complications associated with recovery care, especially in the dangerous case of a relapse. Criminal laws exist to prevent crime, protect the public, and punish offenders. When recovering substance abusers and criminal law cross, a snap judgment would be that the user has committed a violation. But this is not necessarily the case when it comes to sober living homes – criminal laws can protect tenants from the illegal activities of the site’s owner/managers. Such was the case at a sober living home in Florida. According to the Palm Beach Post, a couple who owned and managed a sober living home were recently arrested for dealing and abusing drugs. The sober home residents appear to have been uninvolved in these activities and were shocked to learn this news. The duo were reportedly in possession of marijuana, drug paraphernalia, and some Xanax (a prescription tranquilizer). The husband of the duo was charged with intent to sell while it appears the wife only used the drugs without dealing them. A criminal informant advised police that the husband stored approximately 10-50 pounds of marijuana on the premises, and the house was locally associated with a cocaine ring. To avoid these instances of sober living homes operating outside the law, it’s important to choose a facility that is fully licensed. 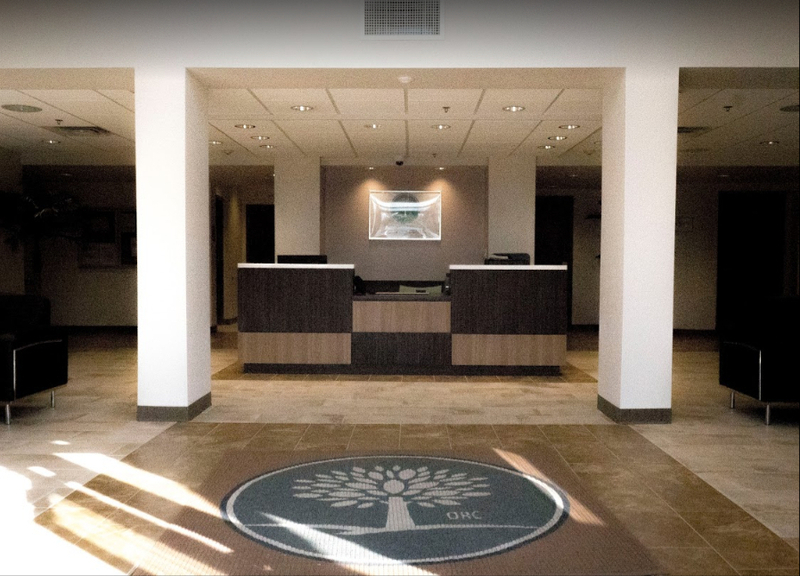 Inquire about the staff members’ certifications and experience with addiction treatment. Taking the time to choose a reputable facility can make all the difference in your, or your loved one’s, sustained sobriety. 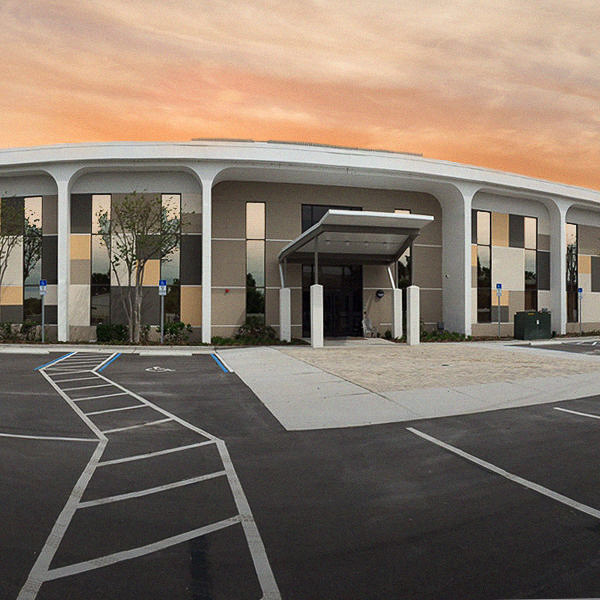 At Orlando Recovery Center, we are dedicated to providing exemplary aftercare services to those who need them. Call us to learn more.